One would assume that proving someone caused a crash would be sufficient to establish liability to compel them to pay for it. As the case of Minnegren v. Nozar shows, though, that’s not always true. The driver in this case admitted his error in judgment resulted in a crash that caused plaintiff’s injuries. Open-and-shut liability then, right? But the question became whether he breached his duty of care. 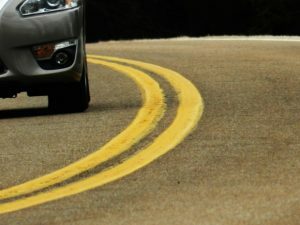 The appeals court held that when there is evidence a driver used at least some care, there can be a finding that he may have acted reasonably – and therefore did not breach duty of care – even if his actions ultimately led to a car accident. These kinds of legal gymnastics show you that there are some really good defense attorneys working in personal injury law – which means you can’t take your chances with a mediocre lawyer to represent your interests. At Associates and Bruce L. Scheiner, Attorneys for the Injured, our experienced traffic accident attorneys are committed to making sure our clients’ rights are protected and that they have the best possible chance at a successful claim for compensation. At the end of the day, those injured in a collision caused by another driver shouldn’t have to be responsible for burdening costs associated with recovery, lost wages or ongoing care. The Minnegren case was weighed recently by the California Court of Appeals, Second Appellate District, Division Two. According to court records, defendant was driving his Range Rover to a college class and he couldn’t find a parking spot in the regular campus parking lot. He was running late and exited the main lot to look for a spot on one of the surrounding streets. When he approached an intersection, there were conflicting accounts, but he insisted he stopped, knowing the motorists traveling perpendicular had the right-of-way. He saw plaintiff, but believed he had enough time to cross the intersection. As it turned out, he was wrong. Plaintiff t-boned his vehicle, resulting in injury. Two eyewitnesses gave conflicting accounts, with one saying defendant never bothered to stop and another saying he rolled the stop. Defendant was reportedly apologizing profusely at the scene and the responding officer who investigated the crash cited him as being at-fault for failing to yield at the stop sign. The officer also indicated defendant’s speed was a factor in the auto accident. Plaintiff filed a personal injury lawsuit against defendant for negligence, asserting he should be responsible for covering her medical bills. At trial, defendant testified he stopped at the sign for about five seconds, saw plaintiff’s car approaching and thought he had enough time to proceed. He conceded in his testimony that he made a bad judgment and unintentionally caused the collision. He denied he was negligent because he did use care in approaching and proceeding through the intersection. And of course, that’s generally why we call them “accidents.” Few mean to cause a crash or inflict injuries on others. But when it happens, we hold them accountable for failing to be sufficiently careful in preventing a crash. However in this case, jurors sided with defendant. Plaintiff appealed and sought a reversal and/or new trial, arguing the judgment wasn’t supported by substantial evidence. This is defined as evidence of “ponderable, legal significance that is reasonable, credible and of solid value.” Conjecture or speculation alone isn’t credible. Here, the appeals court opined, the question revolved around the issue of duty. What duty did defendant have and did he breach it? As the court explained, he owed a duty to act as a reasonably careful person would in the same situation. In this situation, jurors concluded defendant was reasonably careful. The fact that an accident happened anyway, they determined, did not mean he was liable for it. The appeals court affirmed, finding there was sufficient evidence to support the conclusion.